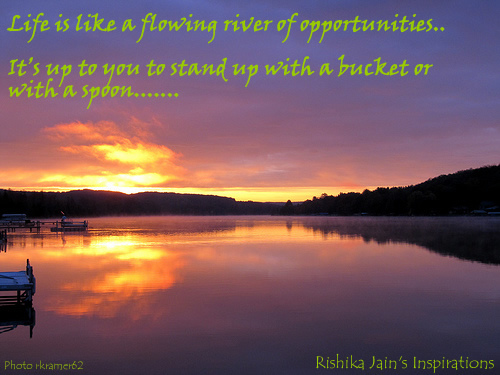 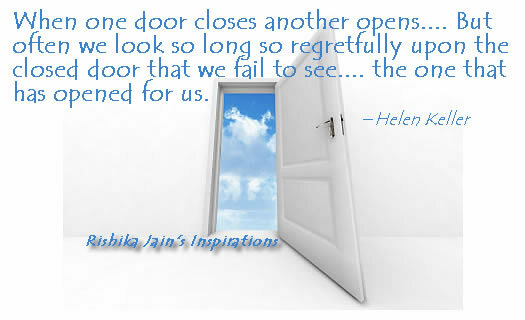 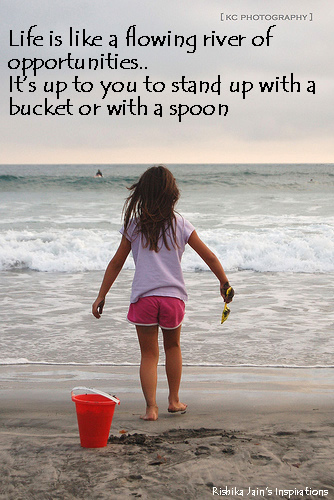 Life is like a flowing river of opportunities, It’s up to you to stand up with a bucket or with a spoon. Luck is what happens when …..
Life is like a flowing river of opportunities.. It’s up to you to stand up with a bucket or with a spoon……. 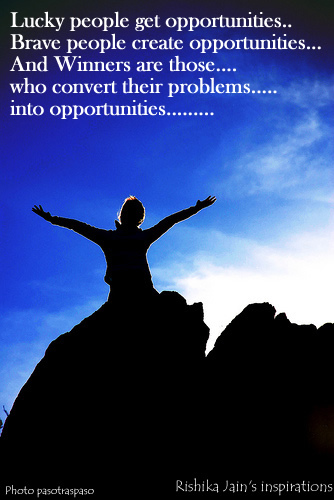 Lucky people get opportunities; Brave people create opportunities; And Winners are those that convert problems into opportunities. 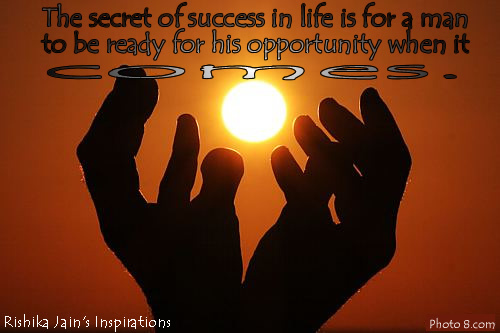 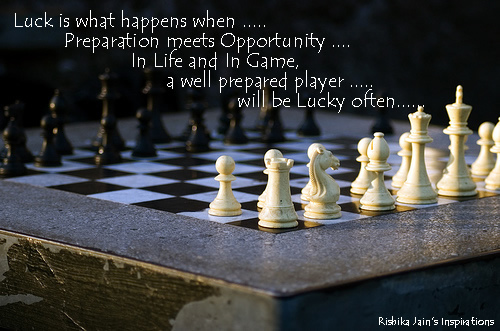 That is the reason there is an old wise saying which defines Luck as : Combination of preparedness meets opportunity and Luck happens frequently to those brave people who are prepared to grab the opportunities which come their way. 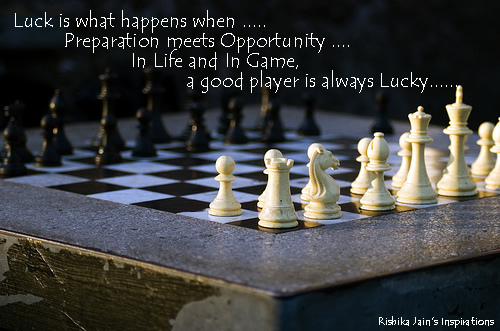 So let us go ahead, be brave, and be lucky.